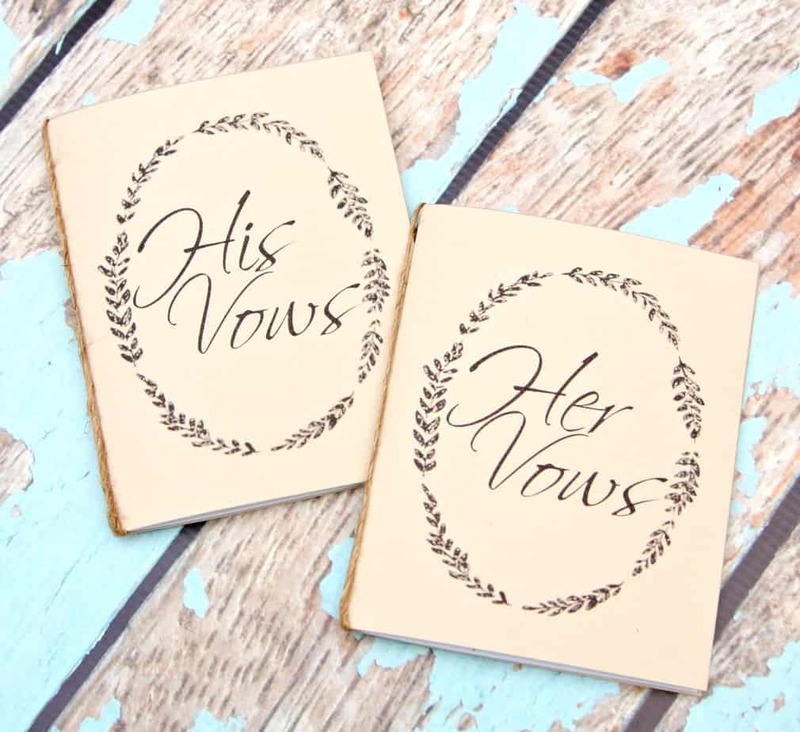 My brother recently got married and since him and his wife wanted to write their own vows, I offered to make them Handmade Wedding Vow Books. These can be pretty expensive on Etsy considering you can make your own for less than $2. These were so easy to make! 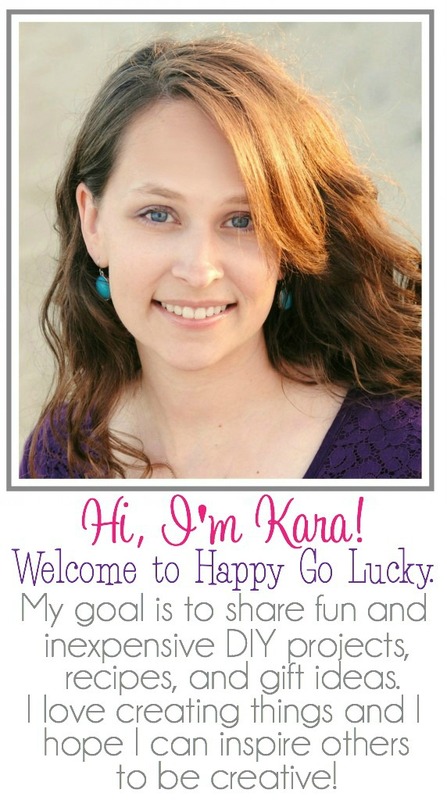 All you need is cardstock, paper and the free printable I created. The best part about this project is that you can customize the cover to match the colors of you wedding if you want. My brother’s wedding was a simple outdoor wedding so we kept things rustic with tan paper and jute. Step 2: Cut cardstock along lines and fold in half. Step 3: Cut paper to fit inside. Step 4: Use jute or string to wrap around crease of booklet and tie in a knot. That’s it! The finished size of each vow booklet is 4 x 5. The free printable can be customized with wedding date. I also think adding a monogram would be cute. 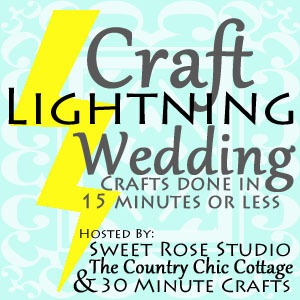 Check out more fun and festive wedding crafts in the Craft Lightning Wedding Series. All these crafts make me want to plan a wedding! Angie @ CCC recently posted…Making Map Lined Envelopes the EASY way! These will make great keepsakes.